Do you have a severely damaged tooth? Do not have it pulled! Davidson Dental Associates can save it with a root canal in Downtown DC. The endodontic procedure will reinstate the health of your tooth while a custom-made crown restores its function and appearance. Although they have a bad reputation for being painful, you have nothing to fear. New advancements in dentistry now make them no worse than a traditional dental filling. Root canals are among the most common restorative dental treatments; however, they are only recommended when there are no other viable treatments to save a tooth. After performing an initial consultation, we determine if the procedure is in your best interest to rehabilitate your oral health. Lingering pain when the tooth is exposed to hot or cold temperatures. Pain when placing pressure on the tooth. Pimple-like bump appearing on the gum near the tooth. 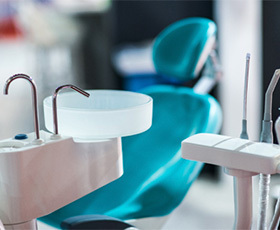 Upon creating a customized treatment plan, you are scheduled for your appointment with your dentist in Downtown DC. 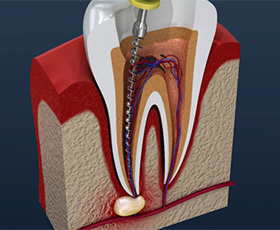 We use a local anesthetic to minimize any discomfort during the procedure. We begin by removing the areas of damage, like decay. Then, we use special dental tools to extract the inner layer of the tooth, known as the pulp. Your tooth is sterilized before it is sealed with a material called gutta-percha. Now that your tooth’s health has been restored, it can last for a lifetime with the right aftercare. 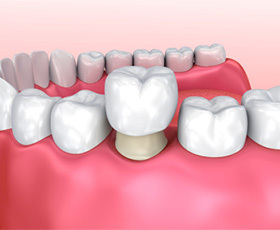 To protect your tooth from additional damage and to improve its appearance and function, we place a custom-made dental crown over it. Your tooth is reshaped, and a digital impression is taken to get the exact measurements needed to create your restoration. It is crafted to match your color, size, and shape needs from all-ceramic material to look like a natural tooth. It can take the dental lab a couple of weeks to make your crown with precision. While you wait, a temporary one is attached. After your permanent restoration is sent back to our office, you return for your second appointment to have it bonded in place. It is normal to experience some slight pain and tenderness for a few days after your procedure, but it quickly dissipates. In no time at all, you can chew on your new tooth without any complications. With the right aftercare, your new crown can last for an average of 10 years before needing to be replaced. Proper oral hygiene is vital to the longevity of your crown as well as preventing damage to the underlying tooth. In addition to care at home, do not forget to visit your dentist twice a year for a cleaning and checkup. If you have a damaged tooth, we can save it with root canal therapy. Contact our office today to schedule your consultation.